Expanding binder pockets keep and protect unpunched documents and photos. Three-hole punched to fit easily into any standard binder. Each pocket expands 1/2". 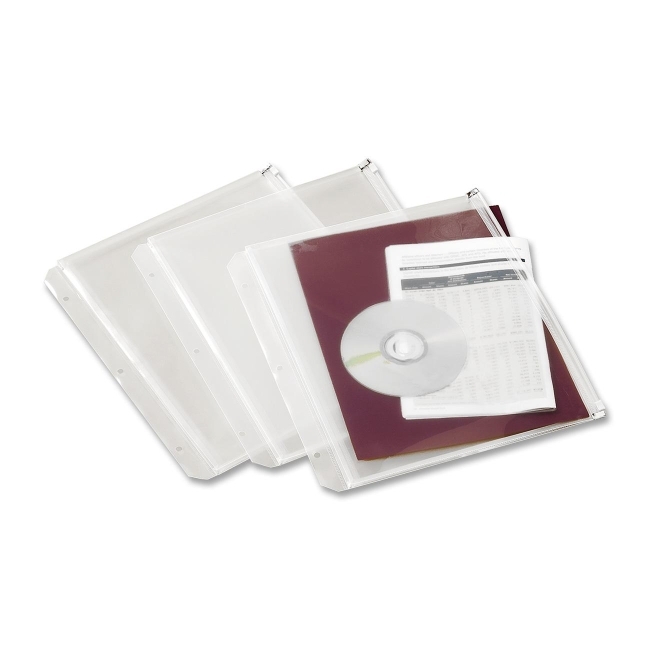 Secure documents with zipper closure. Archival-safe for all documents and photos. Poly pockets will not lift or transfer inks or toners.